In 2015, the UK government began charging consumers for the plastic bags they consume and that is, in part, because they are incredibly difficult to recycle. Most household collections will reject plastic films because it is hard to separate them from other materials and they can sometimes get stuck in the machinery at sorting plants. The lightweight properties of plastic bags makes it of very low value for recycling and the risks of contamination tend to outweigh the benefits. Most supermarkets now run their own reuse or recycle schemes, and many will accept other packaging films alongside their own bags. Carrier bags that are recycled tend to be used in products with dark colours such as black or grey as a result of the contamination of the ink, lending itself to products such as bin liners. PVC – e.g. large squash bottles, although this has experienced decline in recent years. The lids can be made from a different polymer to the bottle which can cause contamination, so some processes will require separation. That said, advanced systems have accounted for this and, depending on the recycling plant, many will be able to separate the lids using machinery. Washing and squashing bottles will make the most of the recycling capacity. Bottles are then sold, shipped, melted, resold and shipped again and can be shipped all over the world before starting a new life as part of a carpet, clothing or another bottle. This is possible because the properties of plastic are resistant to decomposition. They are thought to have a life span of over 500 years, so it’s safe to say the next bottle you have is likely to have started life or existed on this planet in one form or another. Some plastics are difficult to recycle because they are made from a rigid form of plastic or are contaminated by whatever their purpose is in the first place. In the case of flower pots, they are traditionally made from polypropylene which then becomes highly contaminated because of the soil. However, these types of plastic lend themselves to reuse as opposed to recycling and garden centres will accept used pots. Forward-thinking retailers are now selling plants that can be placed directly into the ground thanks to the bio-degradable nature of their container. It is this type of innovation that the plastic industry relies on to avoid exhausting resources. Plastic tubs, pots and trays from food packaging are usually accepted in kerbside collection containers. That said, there are still some made from unrecyclable materials such as polystyrene and those looking to be more eco-conscious in 2019 should avoid brands that continue to utilise these materials despite the wide availability of recyclable alternatives. Food containers usually face a completely different issue altogether and a lack of cleaning compromises the original value of the packaging. Many households will chuck dirty, unwashed pots in the recycling, making food contamination one of the biggest issues facing the industry at the moment. Other packaging such as the black tray that usually comes with ready meals are unrecyclable because the majority of sorting plants use optical techniques to identify polymers and are unable to do so if they are black. Margarine tubs are made from a range of different polymers, making them difficult to sort efficiently and the oils and fats absorbed from the product inside can contaminate and decrease the value of the plastic. That concludes our guide to just some of the most recycled household products and the journey they go through from your recycling bin. 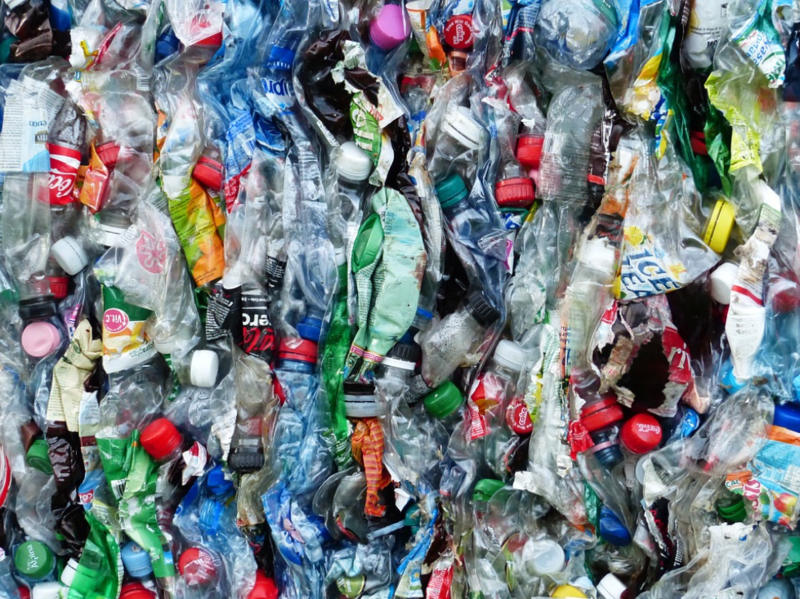 The process is far from straightforward, and there are a range of different factors affecting the recyclability of a product. If you and your business require plastic extrusion products you can rest-assured that the process is as efficient as possible and avoids plastic wastage as much as possible. Not only does this keep costs down for clients, but we can also ensure that here at Opus Plastics, we’re taking responsibility for keeping our carbon footprint to a bare minimum. If you’d like to speak to us about the services we offer, please don’t hesitate to contact us today and a member of our passionate and dedicated team will be happy to help. Previous PostPrevious How Are Plastics Used For Transportation? Next PostNext What is Liquid Injection Moulding?